Welcome to another mini review in my Middle Grade Monday series. 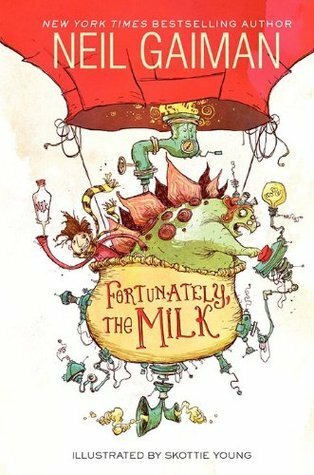 This book was one of the funniest middle grade books I have read to my class. This book is the perfect book to read aloud. Even though it is geared towards middle graders I thoroughly enjoyed this book it was a quick read. I could see myself picking it up to read on my own. I don’t even know where to start with the things that I loved about this book. If I had to describe this book in one word it would be delightful. The illustrations were incredible, they were entertaining and on every page. The plot of this book was just as beautiful, it was constantly twisting and completely unpredictable. The characters that the dad runs in to are hilarious and goofy. I would give you examples but it would ruin it for you. Just trust me they are the best. The only thing that I was slightly let down by was the reaction of my students, some of the humor went over their heads but I’m not sure if that’s because they aren’t quite mature enough yet or if it’s because they weren’t paying attention.